As a new threat appears on the Earth, a new team of Avengers is formed to face it. 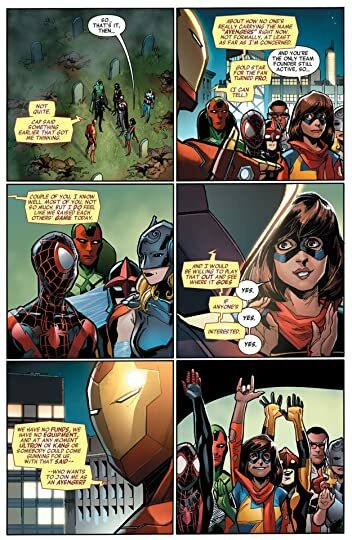 This volume is an origin story of the All-New All-Different Avengers along with some minor fights. I really thought I would like this Avengers lineup. As soon as I saw the lineup I thought, I like Miles Morales, Iron Man, and Ms. Marvel so this should be awesome. I have to say I was disappointed. 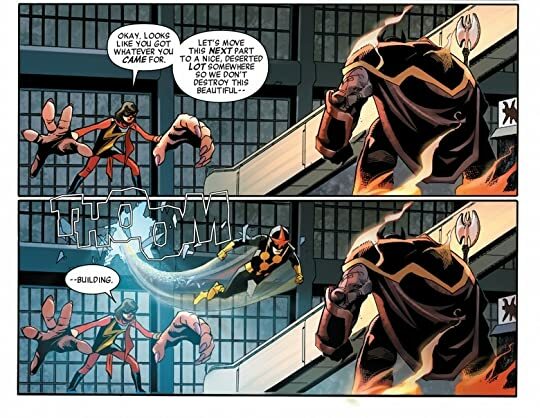 I found out I didn't like Ms. Marvel as much as I thought I did. Who would have thought that I wouldn't relate that much with a teenage Muslim girl from Jersey City? 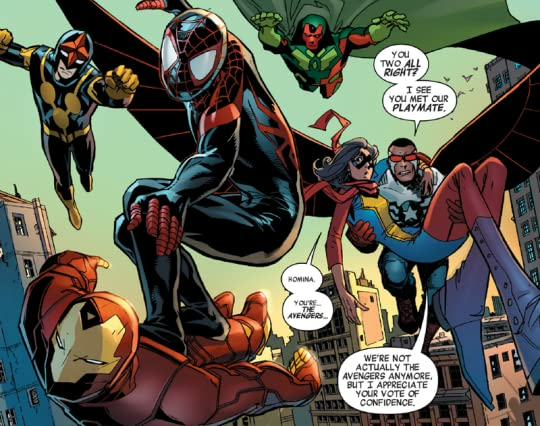 I still like Iron Man and Miles Morales the new Spider-Man, but that's just two characters on a larger team. I'm largely indifferent about Falcon as Captain America, Lady Thor, Vision, Nova, and Kamala Khan as Ms. Marvel. It's hard for everyone to get enough page time with such a large lineup and being apathetic about the majority of the team led to me not being that excited about this volume. My other complaint is the Avengers are only viable when facing incredibly difficult odds. Anything else should be overkill, but for some reason this particularly capable group of crime fighters aren't nearly as competent as a group. Each of these characters headlines their own comic, they should easily be able to throwdown against any normal villain. Despite the incredible film success for the Avengers, I have rarely found Avenger comics that hold my attention and unfortunately the All-New All-Different Avengers are no exception.